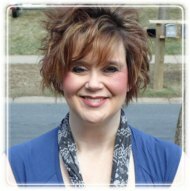 Apple Valley Therapist: Tamera Mensink - Therapist 55124. Trauma, sexual abuse, domestic violence, post-traumatic stress disorder, Christian counseling, veterans and borderline personality disorder with DBT therapy. Send A Message To Tamera. Session Fees: I currently accept Medicaid, Preferred One, MA, Medica, Blue Cross, UBH - United Behavioral Health. I am currently not in network with Health Partners. for individuals, teens, couples, and families..
stressors are resolved in your life. in the most efficient way without a requirement for long-term, ongoing therapy. move forward to fully enjoy your life and purpose. I currently take MA, Preferred One, UBH, Blue Cross, UCare and Medica. I also offer a sliding fee scale, which is usually lower than your insurance deductible. evidence-based treatment for post traumatic stress disorder. phone counseling to individuals anywhere in the world.